Since giving up (temporarily) on FreeBSD 8.2 RC2, I've been configuring FreeBSD 8.1 on my Dell E520. 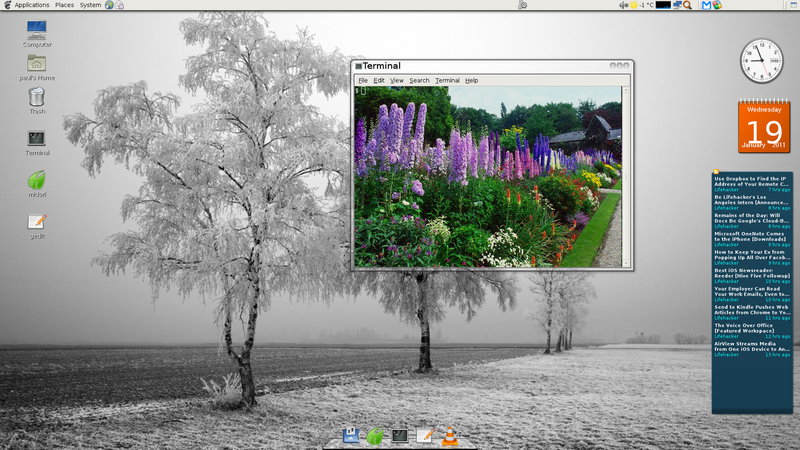 Most things went well but I had a lot of problems getting the 3D effect that Compiz allows. Strangely, I already had it working well before but never bothered to write down what I had done. Therefore, this time I'm going to record everything. First, the FreeBSD Handbook outlines in splendid details how to get compiz working and, by-and-large, this is what I followed. The first step is to install the correct driver to make sure the graphics driver you have supports 3D. I have an nVidia GeForce 7300 LE and was able to get the driver from the nVidia site.. Very quickly, you will get a message saying the driver has been installed and you need to modify the /etc/X11/xorg.conf file (simply by changing the line "driver=nv" to "driver=nvidia"). Now, by default, FreeBSD 8.1 has no /etc/X11/xorg.conf file. So you need to make one. If it works properly, you will see your normal desktop. If not, the screen may stay black (as happened to me). If it doesn't work, you need to start changing some of the parameters in the xorg.conf file. Now that thew xorg.conf file seems to work, remember to change the driver line from nv to nvidia. BoardName "G72 [GeForce 7300 LE]"
Next, open another terminal as root, cd to /usr/ports/x11-wm/compiz-fusion and issue a "make install clean" command. Save it to your home directory as compiz-start (or whatever), make it executable, add the compiz-start script to System>>Preferences>>StartUp Applications and that's it.